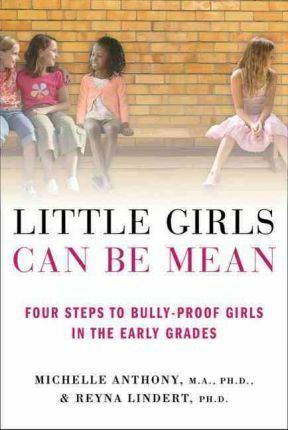 By focusing squarely on the issues and needs of girls in the years before adolescence, Little Girls Can Be Mean is the essential, go-to guide for any parent or educator of girls in grades K-6. Dr. Michelle Anthony, an expert in developmental psychology, is mother to three young children, two girls and a boy. She is a certified K-3 teacher and president and cofounder of Wide-Eyed Learning, a company devoted to facilitating communication and learning between parents and children. She is also a columnist for Scholastic's Parent and Child magazine. Dr. Anthony holds a B.A. in Education from Brown University, an M.A. in child studies from Tufts University, and a Ph.D. in developmental psychology from University of California at Berkeley. She lives in Centennial, Colorado. Dr. Reyna Lindert, also an expert in developmental psychology, is mother to three young children, two girls and a boy. She is a certified parent educator and vice president and cofounder of Wide-Eyed Learning. She holds a B.S. in human development and family studies from Cornell University, and an M.A. and Ph.D. in developmental psychology from University of California at Berkeley. She lives in Beaverton, Oregon.